Yggdrasil keeps winning headlines in the online video slots business. Not only does the Swedish developer keep producing fantastic titles with amazing graphics, animation, sounds and themes, but they have now helped deliver a massive multi-million Euro win for one lucky LeoVegas player. This is a Scandinavian love story in three parts. Yggdrasil is named after the mythical tree that stands of the ancient Norse cosmos. It’s a big deal in Swedish mythology. The company of the same name has been in business since 2013 and has had a meteoric rise since then. It’s a major award winner and has revolutionised the look of the slot world. Yggdrasil games are renowned for their outstanding graphics and animations, which usually offer a moody, immersive experience with real depth. They’ve also focused a fair bit on Scandinavian theming in their games, with games like Vikings Go Berzerk, Vikings go to Hell and Ozwin’s Jackpots that offer some seriously innovative gameplay. They’ve also dabbled in more conventional games, including the game, Joker Millions, that has delivered this massive win to one player. That player, who hasn’t been named, is also from Sweden. And to complete our trio of Scandinavians we have LeoVegas, the site where the win was delivered. LeoVegas was founded in 2011, and is helping to cement Sweden – they’re listed on the Stockholm Stock Exchange – as the hottest cold place in the world for slots. LeoVegas has prioritised mobile games from the off and delivers a fantastic experience on small screens. The lucky player was using LeoVegas’ international facilities to bet 5 Swedish Krona (about 0.5 Euro) on the game and watched the reels click round to deliver SEK80m (€7.8m). Progressive’s work by taking a little bit of each stake and putting it in a prize pool that brings together many thousands of players across multiple sites. That lowers the theoretical return to the player in the base game but delivers these fantastic wins. This big win takes the total for Yggdrasil’s progressive slots to €26.7m. Joker million was the first progressive the company released back in 2015, and it’s now an established favourite with players, who hang on to the desire to win that big prize, but also enjoy a game that’s highly rated for its gameplay and looks great. 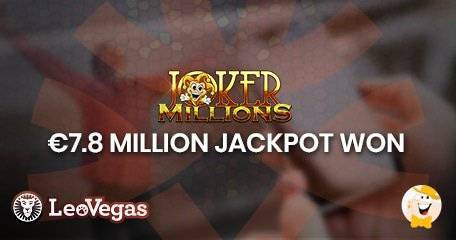 Big wins bring in more players and that means the jackpot at Joker Millions will start to grow quickly. Mega Moolah has seen record wins twice as players look to cash in on its massive popularity – yes, you could be the one! – but could Joker Millions be coming up on the outside as a new player fave?